Whether you are developing a film, tv show or looking to move into production, the most important documents other than than a solid script is a Budget & Schedule. 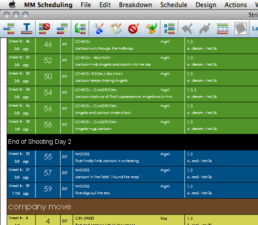 Using the industry standard Movie Magic Scheduling software I will create a realistic schedule that will account for specific actor/location availability, prioritize stunts and creatively come up with solutions to shoot out extras, minors and time-sensitive scenes. All schedules include a detailed one-liner stripboard and the following Day out of Day Reports (Cast, Stunts, BG, Vehicles, VFX). Using the industry standard Movie Magic Budgeting software I will create a realistic budget that can account for any (SAG, DGA, IATSE, WGA, TEAMSTERS) or no unions. I have experience creating budgets from $100K to 30M range. All budgets can include tax incentive percentages, fringes and standard contingency figures. Which Unions should I use based on the budget? Which state should I film in to capitalize on Tax Incentives? What is the crew base like based on the state? 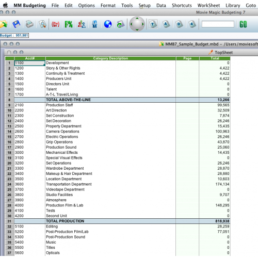 How can I reduce my current budget or hit a certain number?